With just a few months before the Yorkshire Games Festival returns for its third run at the National Science and Media Museum in Bradford, organisers are excited to unveil Vlambeer’s Rami Ismail as the latest esteemed speaker to join the event’s growing line up. Ismail and Vlambeer have become household names amongst fans of indie games across the world, with celebrated releases like Ridiculous Fishing, Luftrausers, Nuclear Throne, and, of course, Super Crate Box having made major waves during the last decade. At the Yorkshire Games Festival, Ismail is set to give a motivational talk about independent development, with more details held back to be revealed on the day. Also making the line up is Mette Andersen, a level designer at IO Interactive, developers of the recently released HITMAN 2. Naturally, Andersen’s topic of choice will be focused on the level design in the Hitman series, specifically discussing the art of designing them as “social spaces”. Adding to that, Hwa Young Jung - a multidisciplinary artist working across the arts, culture and science, facilitating collaborative workshops and projects - will take to the stage to talk about ‘art games’ as an alternative career path. Finally, Yorkshire Games Festival can announce a currently unrevealed speaker from MachineGames - the studio best known for its work on the Wolfensteinseries - will also be speaking, with further details regarding just who will be taking to the stage set to be unveiled in the new year. "The games industry has grown into a space that is open for anyone that is willing to put their mind to it,” says Ismail. “In visiting events like the Yorkshire Games Festival, I get to share the fascinating stories and experiences in game development from both my career as both a developer and as a traveller. I'm excited to participate in the week-long celebration of games, to share what I've learned, and to learn from the creators and audiences attending." Other speakers previously announced include the legendary Jeff Minter of Llamasoft fame, Broken Sword supremo and industry stalwart Charles CecilMBE, Media Molecule’s Gem Abdeen, and Brjann Sigurgeirsson of Swedish development powerhouse Image & Form, known for its beautiful 2D action-platformers Steamworld Dig and Steamworld Heist. For developers, Yorkshire Games Festival can also announce it has begun canvassing for games to exhibit at the Northern Games Showcase, with the remit being to show off to best the north of the UK has to offer to the festival’s throng of attendees. If you’d like your game to be part of the mix, please contact Jack.Wentworth-Weedon@scienceandmediamuseum.org.uk. For those looking to make their way to the National Science and Media Museum next February, tickets for the main event are now on sale. Passes for YGF: Games Talks are £80/£70 (full pass) or £40/£35 (day pass). 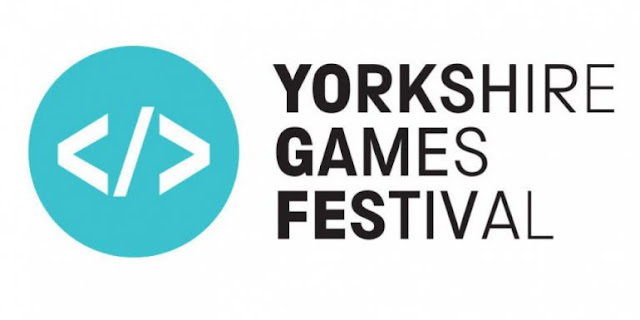 2019 will see the Yorkshire Games Festival build upon its remit to celebrate games culture and introduce a new generation to the science and art of games development. Look out for further details in the coming months.